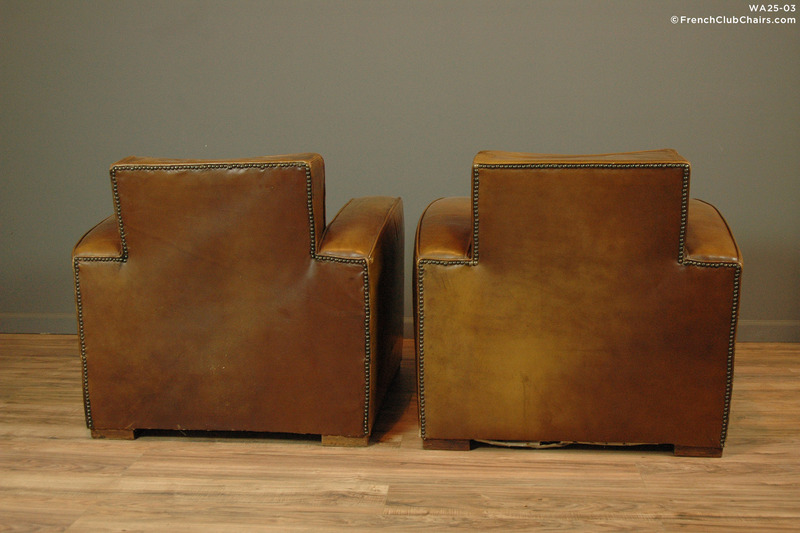 This is a very Handsome pair of all original French Club chairs form the late ’40s, early ’50s. They sit deep and comfortably. They have their original velvet cushions. I haven't had such a sumptuous pair of larger scale Square backed pairs in quite a while.Lovely! measurements: L-34", W-32". H-30" Seat depth- 24", seat width-20", seat height-17"